The Fu Manchu Mustache: How to Grow, Guide, Examples, and More! Admit it, this style is as much fun to say as any other beard/mustache style in existence: “Man, look at that guy’s Foomanchew!” Or, maybe we’re easily amused, but still. The Fu Manchu is clearly more than just a name, however. It’s also an iconic style in the same way that the Van Dyke is an iconic goatee. Chances are, you’ll know you’re looking at a Fu Manchu when see someone wearing it – a full, straight mustache, tendrils extending down past the chin. It’s one-of-a-kind, that’s for sure. The only trick is distinguishing between a Fu Manchu mustache and a horseshoe mustache because they can look similar to the untrained eye. A key point to remember is that the ends of the Fu Manchu mustache are left to grow very long, i.e., well beyond the chin. The horseshoe mustache, meanwhile, usually ends at the jawline, or halfway down the corners of the mouth in the half-horseshoe style. For example, American footballer Joe Namath wore what was often referred to as being a Fu Manchu; in reality, his was more of horseshoe mustache. The Fu Manchu derives its name from a fictional character created by British author Sax Rohmer in the 1920s. If you’re wearing a Fu Manchu, you’re an original. Not a lot of men wear this style – and it’s probably not going to fly with your boss in a corporate setting – but it shows some creativity. It also shows a bit of an affinity for the Oriental side of life. 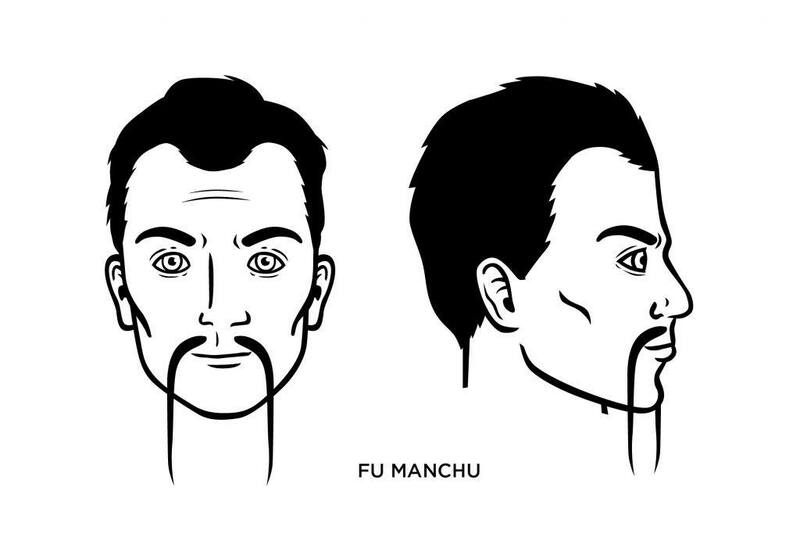 What Face Shape Best Fits the Fu Manchu? Men with diamond-shaped faces look good in the Fu Manchu. Your cheeks and neck are left clean for the Fu Manchu style, so if you’re starting with a full beard as your base, you have shaving to do. The chin is also left clean, so the only thing you have to worry about is your mustache – which is separated into two parts by shaving a clean spot in the middle of your upper lip. From there, you need to let the mustache grow, grow, and grow some more. But keep it trimmed, so it doesn’t become too bushy and ruin the look. What Famous People Wear the Fu Manchu? 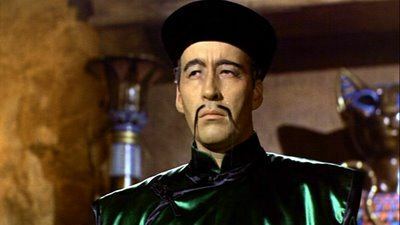 The Fu Manchu has made plenty of appearances in movies, including on the face of Christopher Lee in “The Brides of Fu Manchu”. I have been working on a Fu Manchu/Goatee for nearly 6 yrs, it’s taken 4 out of those 6yrs for my mustache to pass my jawline. It honestly started as a joke prior to leaving the Army, but after my stepping papers and 4 yrs of service, I felt I owed it to my face to just let it grow. It’s a conversation starter by far, and some people like it and more tend to find it goofy, much like my wife and mother/in-law. I do get respect from other pogonophiles, it’s definitely a life style at this point.